VHG-HRB ...... ...... 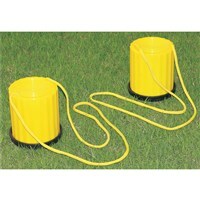 Heavy weight rubber base suitable for both indoors and outdoors. 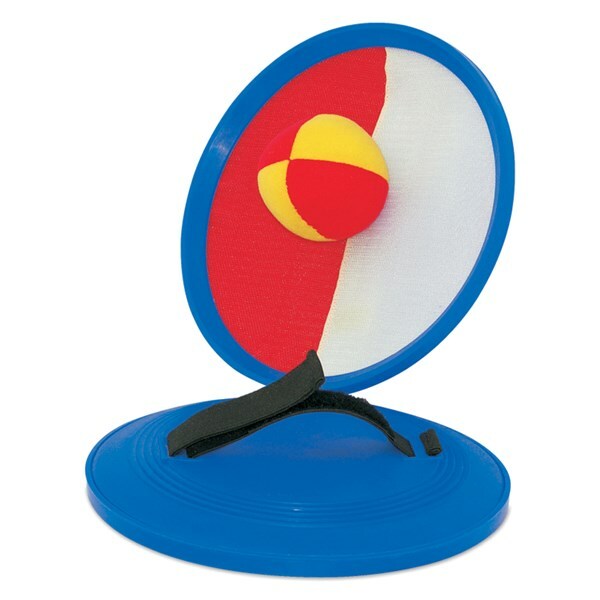 18 cm diameter. Black colour. 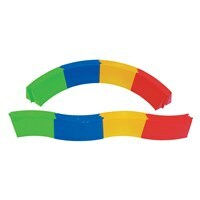 VHG-LRB ...... ...... Light weight rubber base (flat shape). 30 cm diameter. 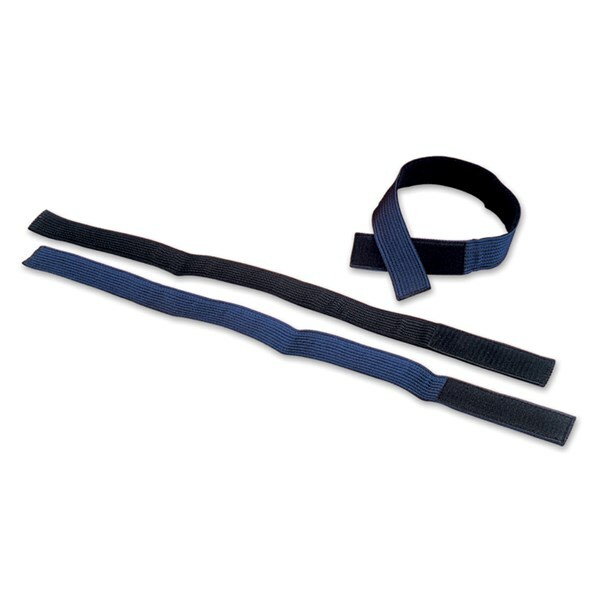 Tie made of heavy duty nylon belt. 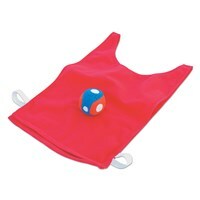 Size: 24" X 1.5" with Velcro fasteners. 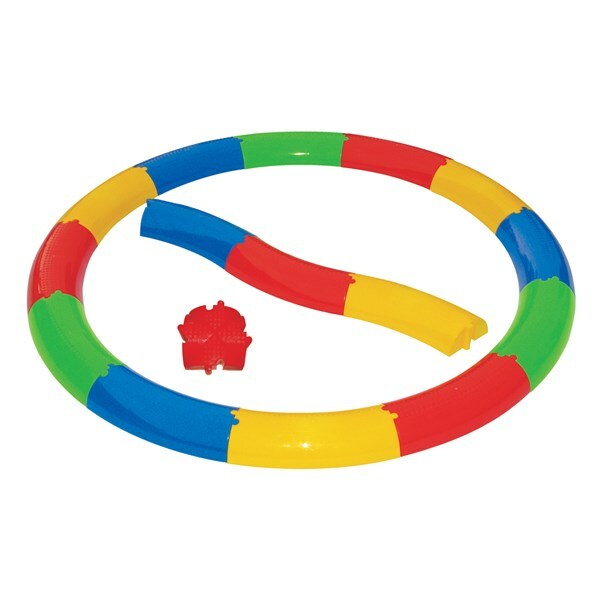 A fun filled exciting game that helps in improving eye & hand coordination. 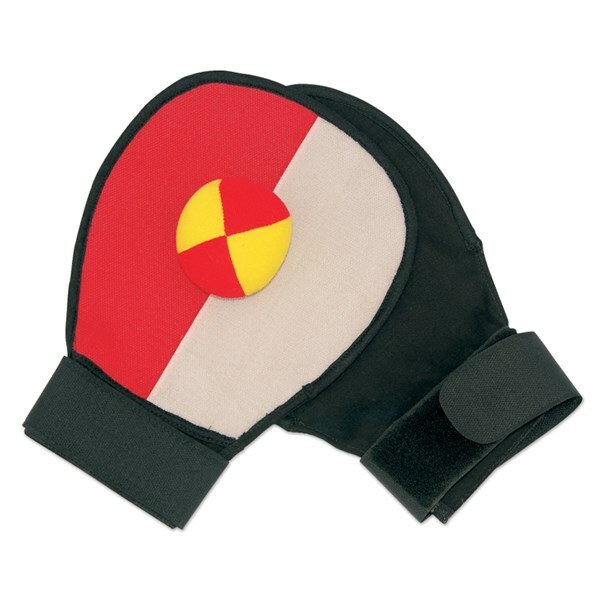 Made of fabric with velcro stitched on one side and an adjustable wrist strap. Comes with a ball that sticks on the velcro mitt. 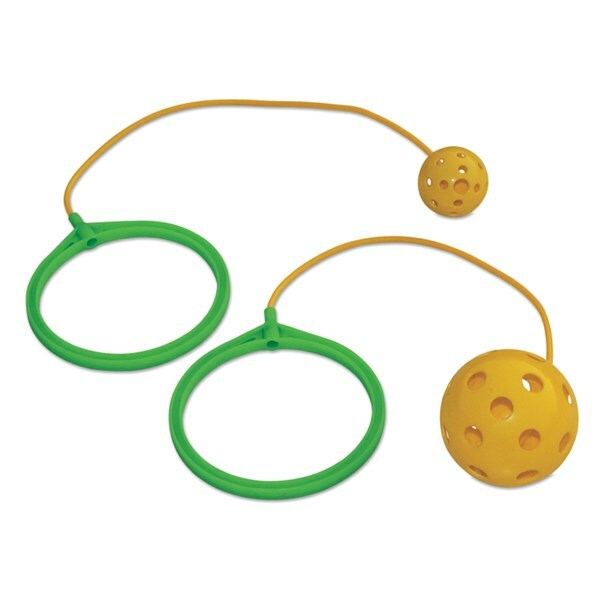 A fun filled exciting game that helps in improving eye & hand coordination. 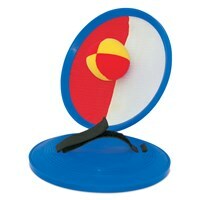 Disc made of plastic with velcro attached to it. 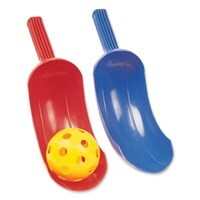 Comes with a ball that sticks on the velcro disk. Available in following variants. Sets can be customized as per your requirement. VTB-S3 ...... ...... Set of 3 bibs & 1 velcro ball. VTB-S6 ...... ...... Set of 6 bibs & 2 velcro balls. 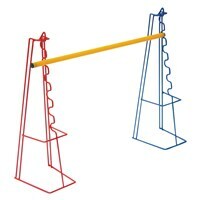 Note: Poles are not included. VWS-L30	 ...... ...... 30" Height with 6 different height levels. 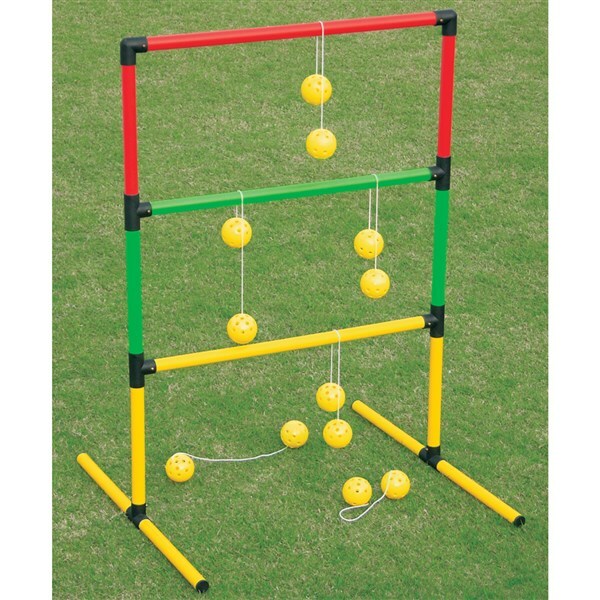 Multiple activity skittles are made of steel wire with PVC coating. They have different heights to hold canes, twin wire at the back to hold hoops. Its design allows the user to use it in many different games and activities. 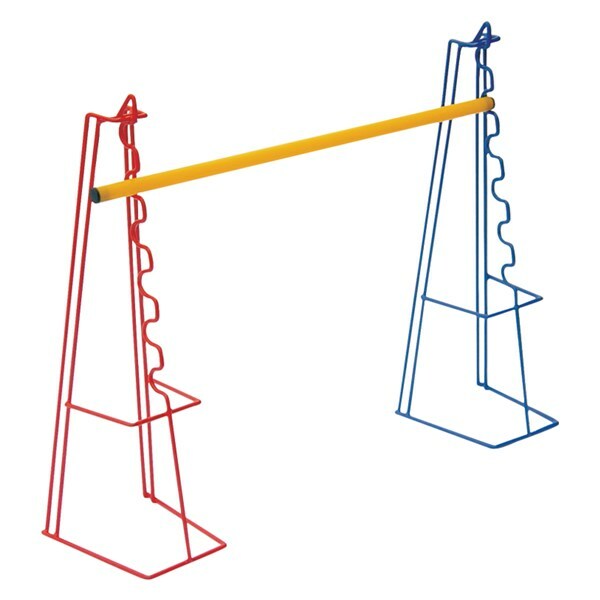 It can also support canes and hoops both in vertical and horizontal positions. 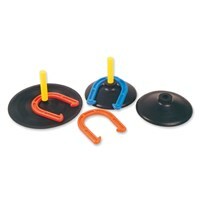 It can be used with 10 mm and 15 mm canes. Available in Red, Blue, Green & Yellow. MAS-30 ...... ...... 30" Height with 6 different height levels. MAS-420 ...... ...... 42" Height with 10 different height levels. Bean target game is a very exciting physical activity game. Made of laminated wood, powder coated steel tube frame. 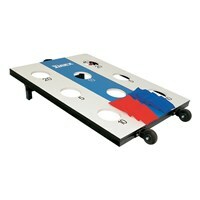 Comes with scores printed, wheels for transportation and a folding stand for flat storage & economical transportation. 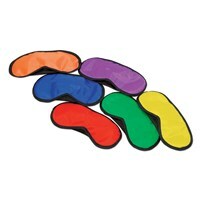 Includes 8 bean bags (4pcs each of Red & Blue colour). Note: These can be customized as per your requirement. Please ask for more details. 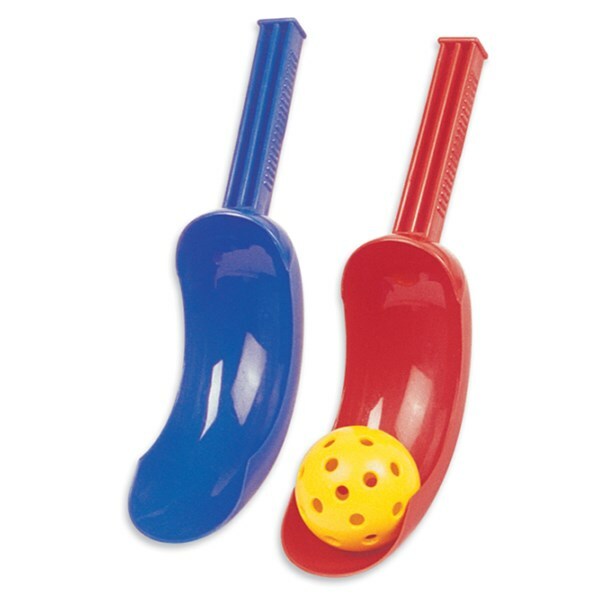 Indoor skittles game. 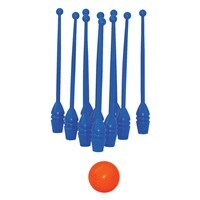 Pack of 10 skittles 18" high, made of plastic and 500 gm PVC ball with a good grip. Available in different colours. Comes neatly in a carrying bag. Note: Please mention colours while placing order. An exciting physical activity game. 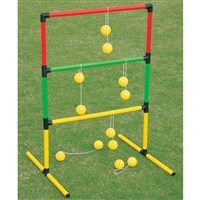 Foldable frame made of plastic poles, easy to assemble and comes with 6 balls set. Comes with a storage bag. Note: These can be customized, please ask for more details. 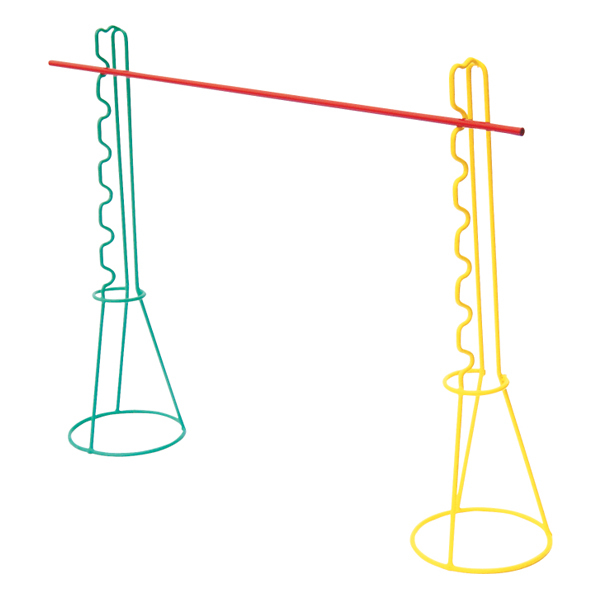 Curved/ Straight balance set made of plastic. Available in assorted colours. 4 way Connector is also available. 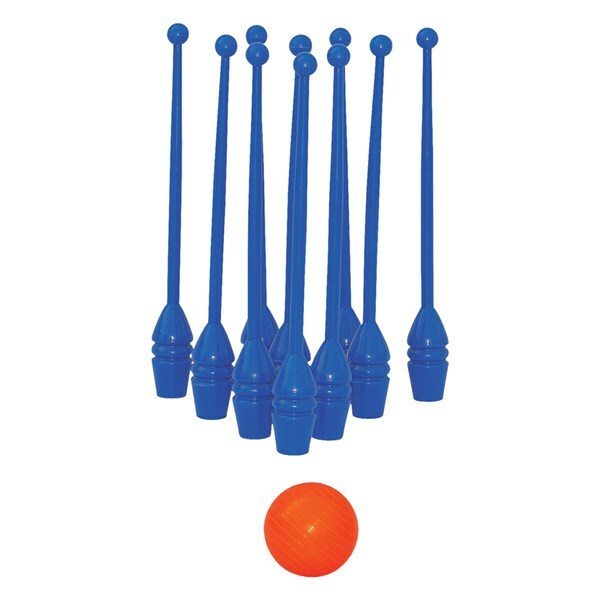 Set of 12 pcs. 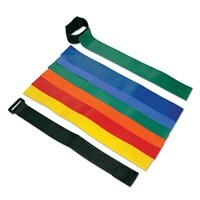 (3 pcs each of Red / Yellow / Blue / Green). 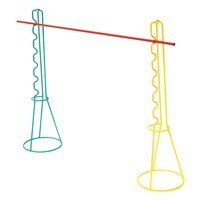 Balance and coordination development plastic stilts set made of plastic. Available with and without rubber rim. Stilts Height : 13 cm; Diameter: 12 cm. Rope Length 145 cm from end to end. Available in assorted colours, sold in pairs. 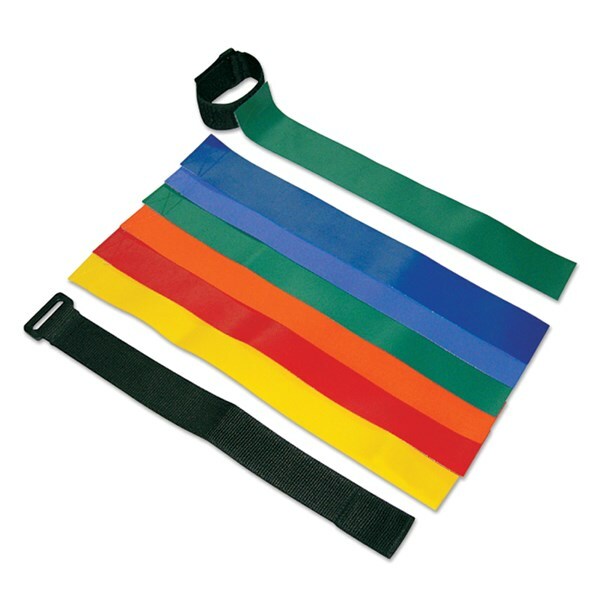 Made of polyester fabric with wide elastic strap. Available in assorted colours. 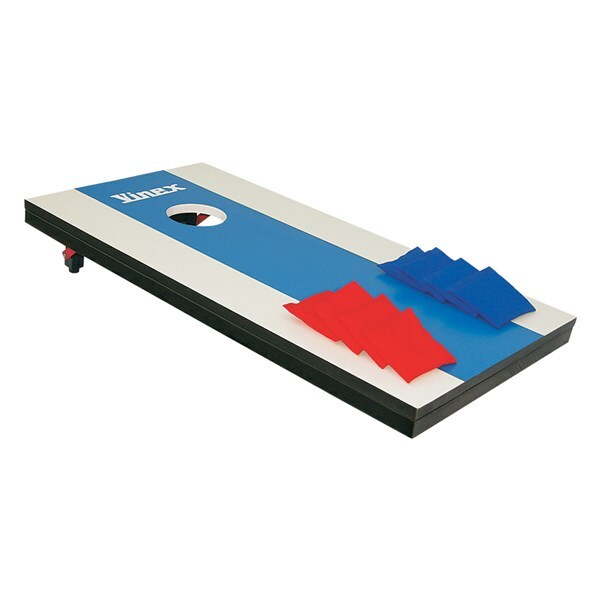 Corn hole game is a popular game in US. Made of laminated wood, powder coated steel tube. Comes with folding stand & 8 bean bags (4 pcs each of Red & Blue colour). Size: 4' x 2' (120 cm x 60 cm). 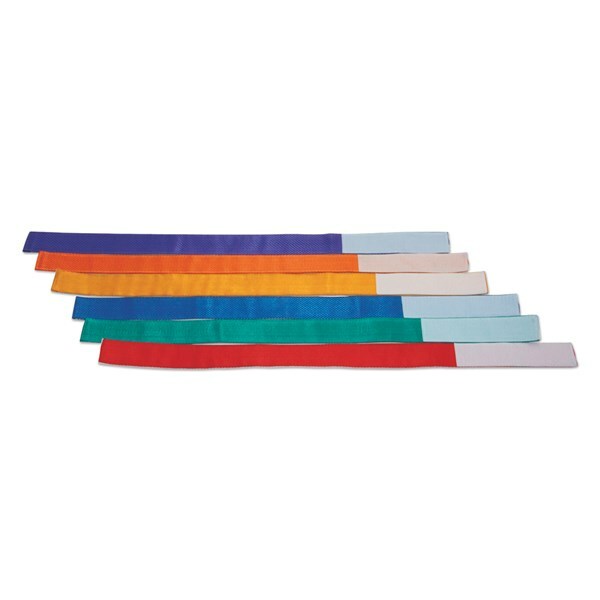 Three legged race tie made of webbing available in assorted colours. Vinex swing is fun jumping game. Ring made of plastic attached with PVC rope and perforated plastic ball. Available in 2 variants Large & Small.